According to a recent news article form Fox News Insider, a two-year-old boy was injured when fell into the cheetah exhibit at a zoo in Cleveland. Witnesses and zoo officials say the boy’s mother was dangling him over the cheetah enclosure when she lost her grip on the child and dropped him approximately ten feet into the pit. Once the boy hit the ground, his parents quickly entered the pit themselves and came to the aid of their son. Zoo officials said the cheetahs never came anywhere near the boy or his parents, and the animal caretakers were able to free the family from the Cheetah exhibit without any problems. The boy apparently suffered what zoo officials said was a minor leg injury as result of falling ten feet and was taken to a local hospital for evaluation and treatment. Many people questioned for this story and other media outlets have expressed amazement the boy was not attacked by the cheetah, though it is not known how likely it would have been for well-fed animals in captivity to act in an aggressive manner in any case. Zoo officials have also stated how it is unfortunate that it appears the mother was dangling the child over the cheetah exhibit, according to multiple eyewitness reports, and, therefore, the zoo will be asking police and prosecutors to charge the parents with child endangerment. However, it should be noted, the family has not been charged with any crime in connection with this incident. As our Boston premises liability attorneys can explain, sometimes an accident is simply an accident. Other times, it is the result of another person’s negligence. If the party responsible is the owner of the properly or works for the owner in any number of capacities, the injured party may have a valid negligence claim to assert against the property owner. 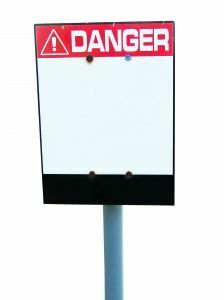 While many states are still following an archaic set of rules in product liability cases dating back hundreds of years ago under England’s common law system, which distinguishes between social invitees, social licenses, business invitees and business licensees when determining the appropriate standard of care in a premises liability negligence case, Commonwealth of Massachusetts courts have simplified the laws in this area. Since the 1970s, when the Supreme Judicial Court of Massachusetts (SJC) decided a landmark premises liability case, the standard of care for landowners has been simplified considerably. Under the current law, landowners have a general duty of care to act in a reasonable and prudent manner to keep the land reasonably safe, so as to protect foreseeable plaintiffs from foreseeable harm. In other words, a landowner must keep his or her property in a reasonably safe condition, so anyone they have reason to believe would enter the property will not be injured. It does not matter whether plaintiff was injured in a store while shopping or injured at friends home during a dinner party, as the standard duty of care applies in both situations.